It’s been a long cold winter….maybe the winter wasn’t so bad, but January didn’t end until…April!! Trails that I should have been out and about on weeks ago, are just now becoming free of their snowfall cover. 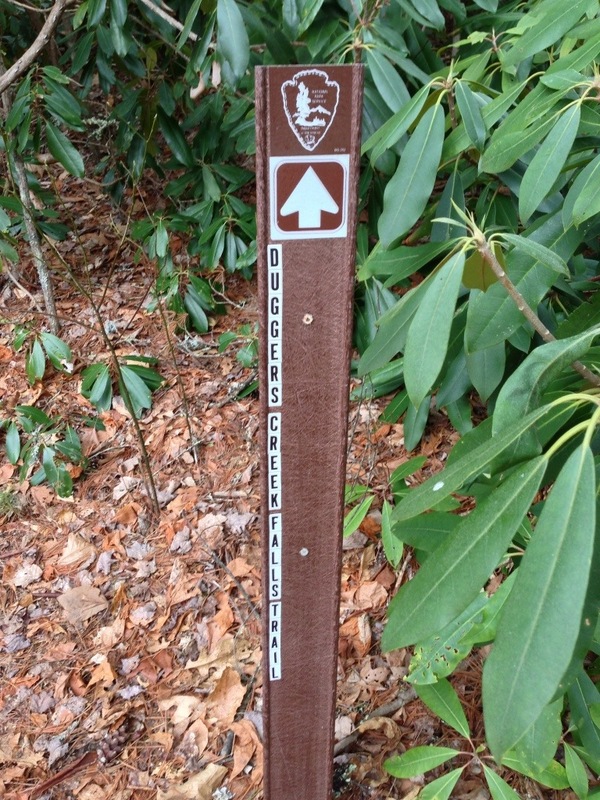 I did see several spots along the Blue Ridge Parkway in the Boone/Blowing Rock area that still had snow. I had 2 months of hikes all planned to do yesterday..but of course the out-of-shape body was only good for one location on this day. I guess I will have to work my way back into mid-season form. 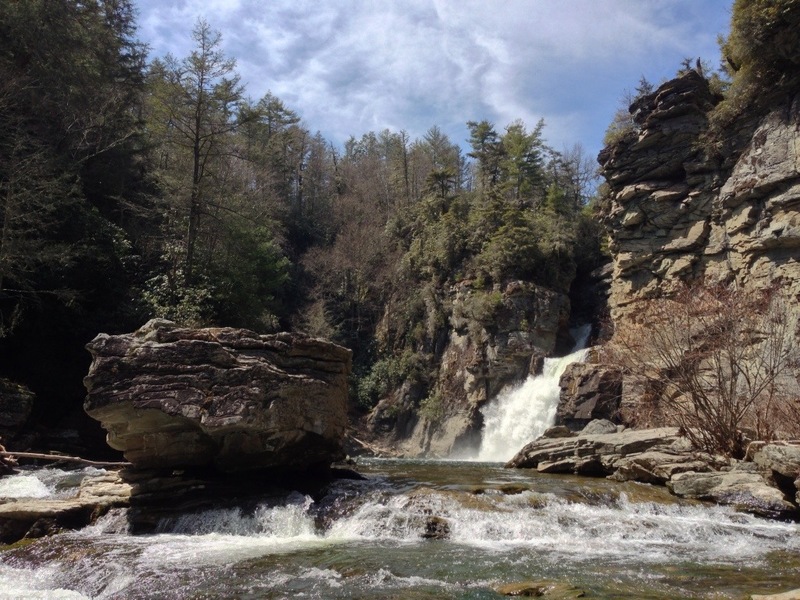 After hesitantly passing by Moses Cone Manor, Julian Price Park, and a number of hiking spots in the Grandfather Mountain area, I chose Linville Falls to get out and stretch my legs a little. It’s April 7, and I counted 33 cars in the parking lot today. Obviously, I was not alone in wanting to get out. 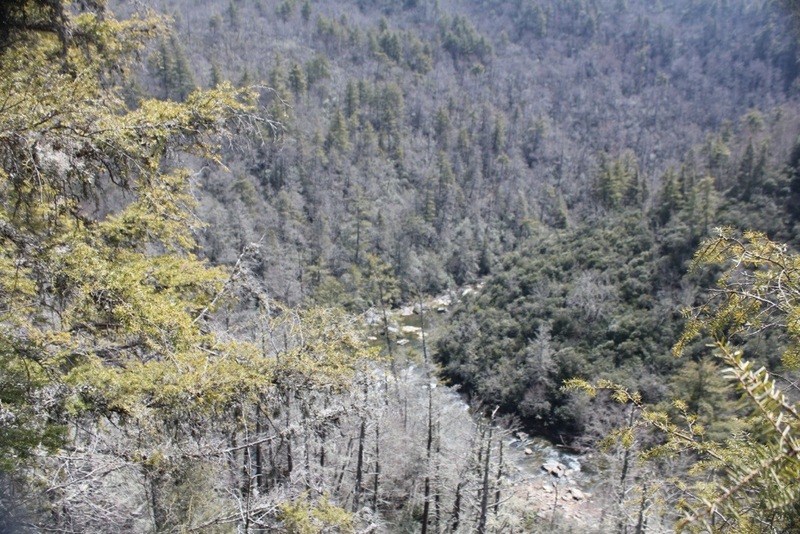 The highs were expected to be in the low 60’s which is great hiking weather. With all of these people here, It bewilders me that the gift shop and restrooms remain closed until the end of April. I understand closing for the winter but I believe they close a month too early and open a month too late. That’s just me though…. I opted for something different today. 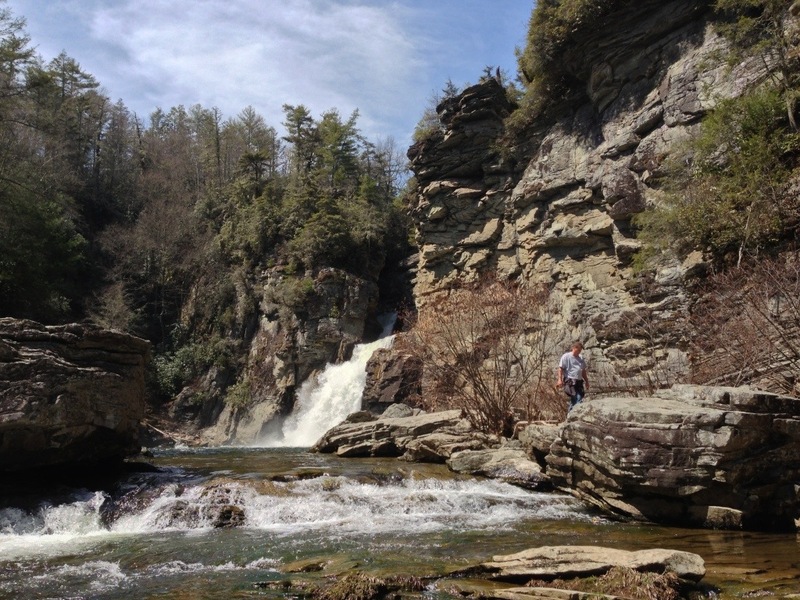 I have long overlooked the Duggers Creek Falls Trail…..because this was Linville Falls! Right? 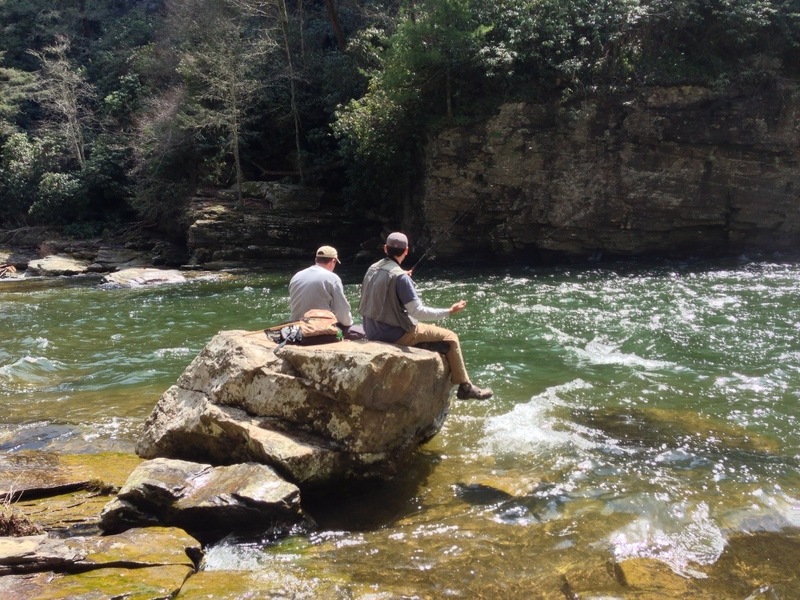 We come here to see the mighty Linville River cut through the rocks and gush out the other side into the large pool. 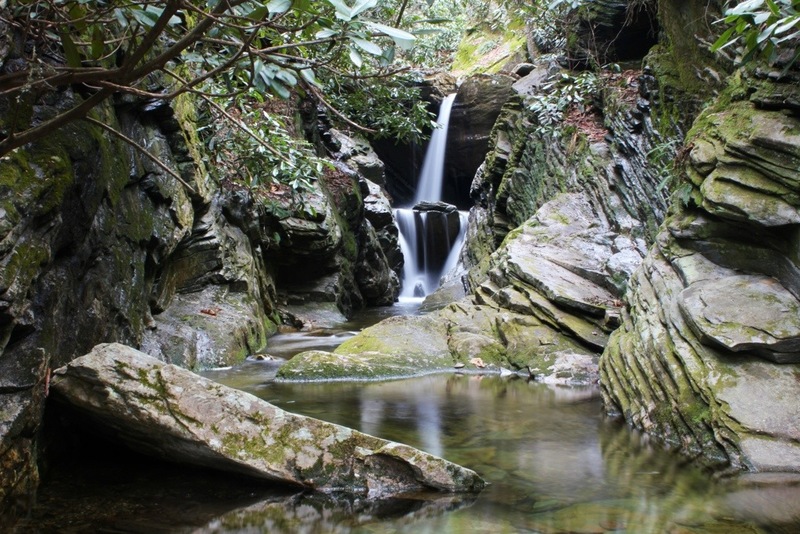 We don’t come to see a small waterfall on a little creek. Well today I changed that way of thinking. 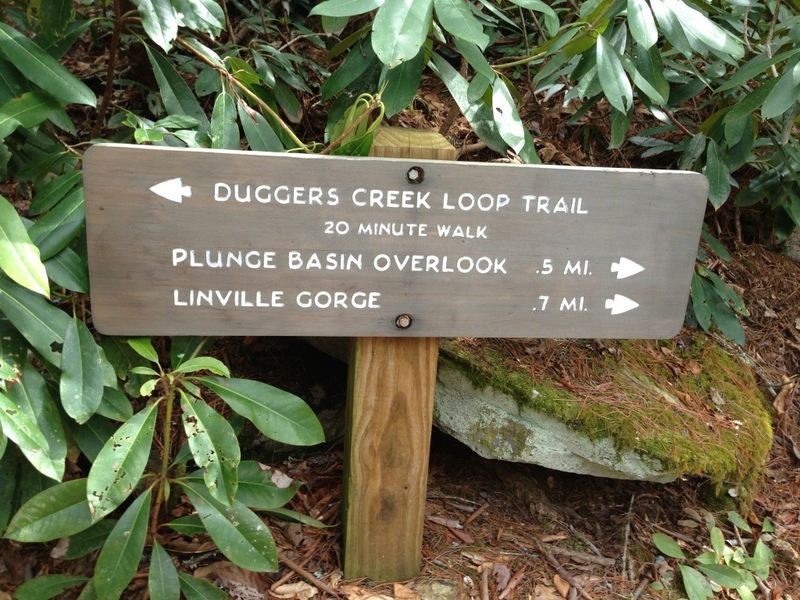 I took the trail for Duggers Creek Falls, expecting a 20 minute walk like the sign says, but I reached the falls in about 5 minutes. 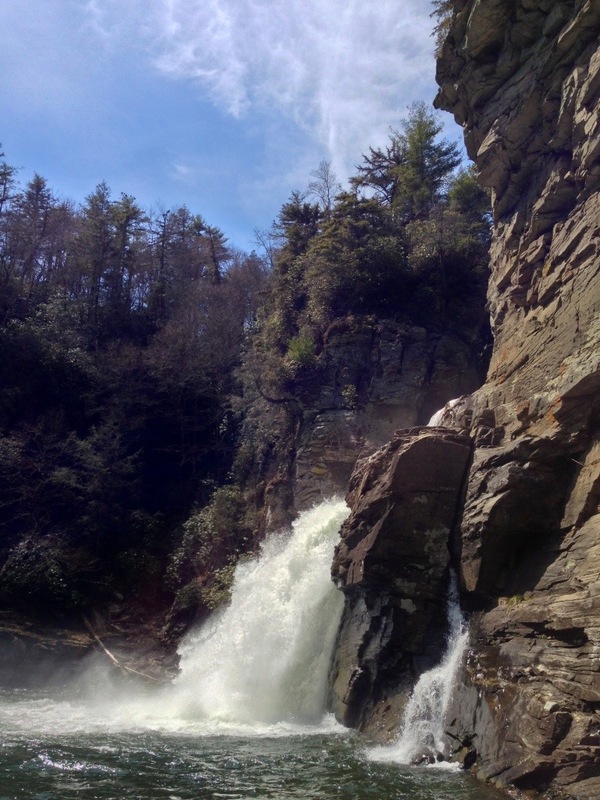 It’s really not far from the parking lot, and is a good leg stretcher for the more difficult Linville Falls Trails. 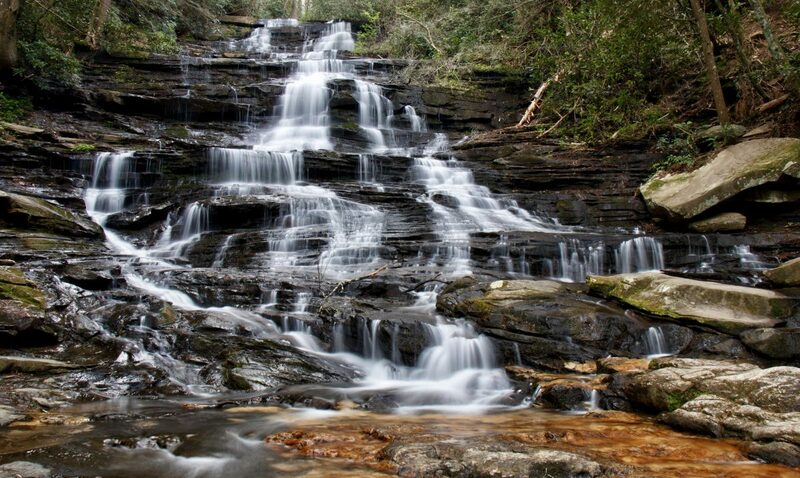 On top of that, this 15-20 foot waterfall is very pretty and easy to photograph. 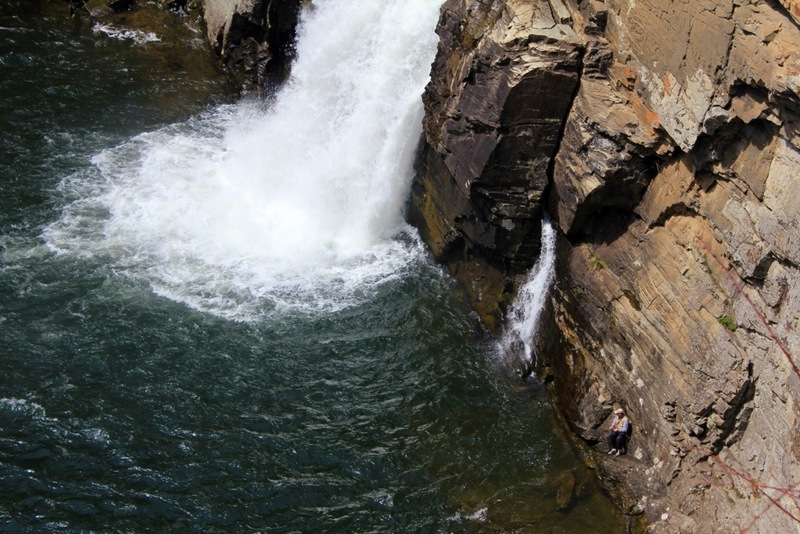 Notice in the picture above, I was able to photograph a guy fishing on the rock wall very close to the falls. 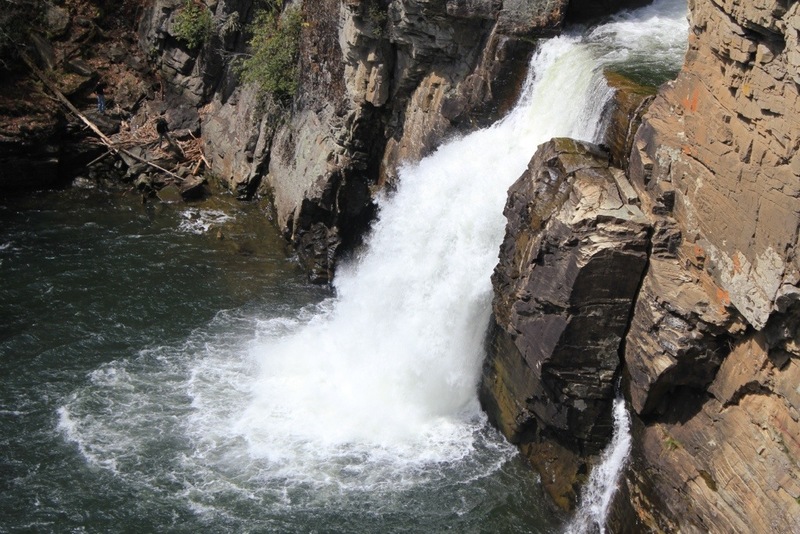 The size of the waterfall really makes the fisherman look tiny. That spot was about where I made it to on my way down. 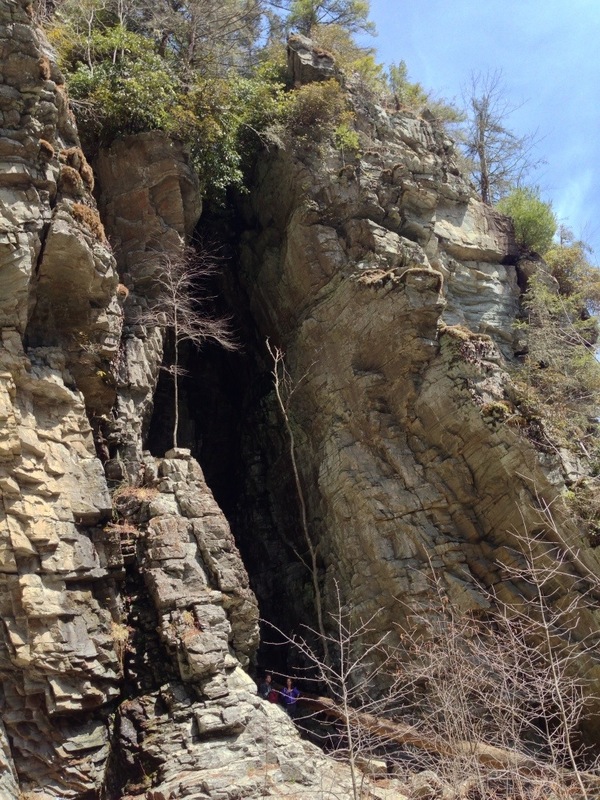 After about 30 minutes down there, it was time for the fun part, the climb out of the gorge. This trail is only 0.7 miles long. What is lacks in length, it more than makes up in ruggedness and steepness. 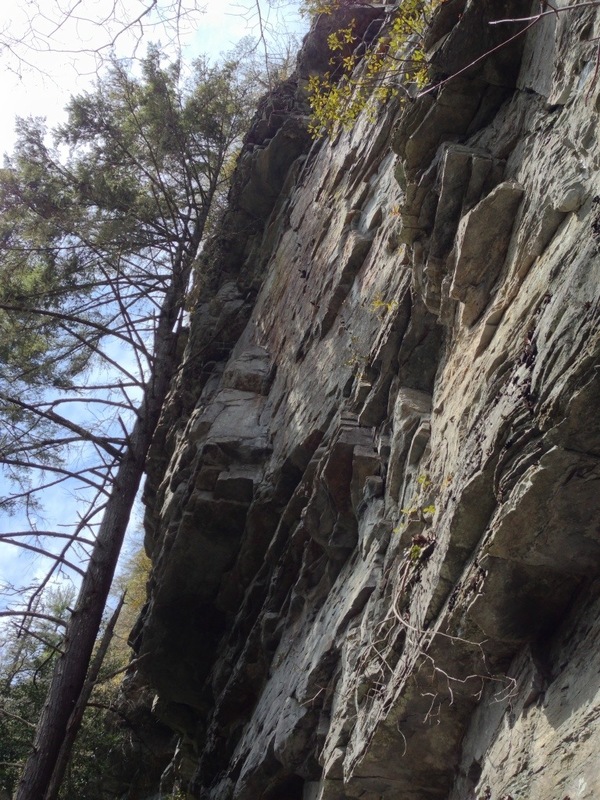 It is not the hardest trail I have hiked by a long shot, but it demands your attention. Roots, rocks, and mud..lots of mud make this climb down and up a fun one. 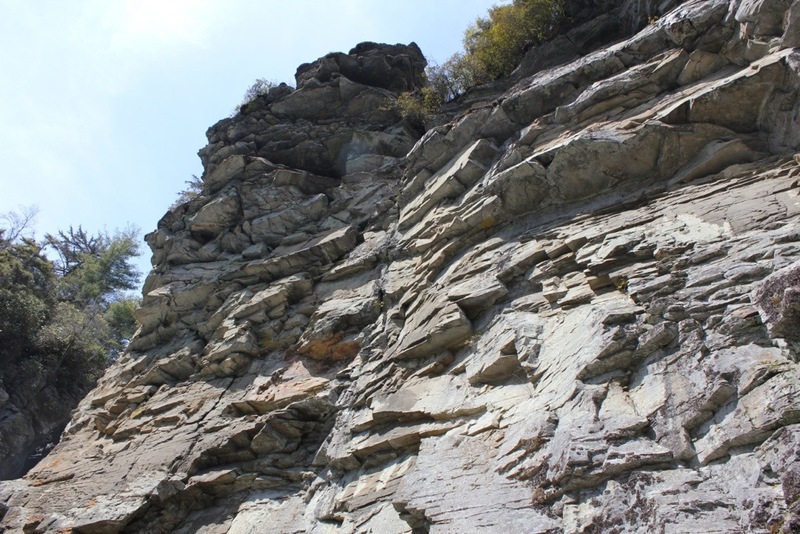 The trail, is very narrow while climbing and the steps are some of the steepest around. 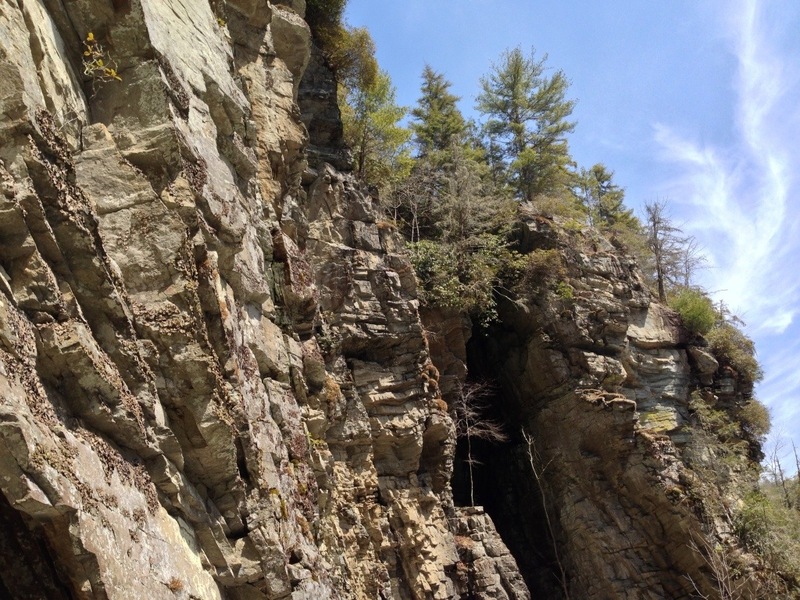 The trail levels out for a short ways at the bottom of the steep cliffs for a memorable walk. Then it’s back to mud, roots and rocks. 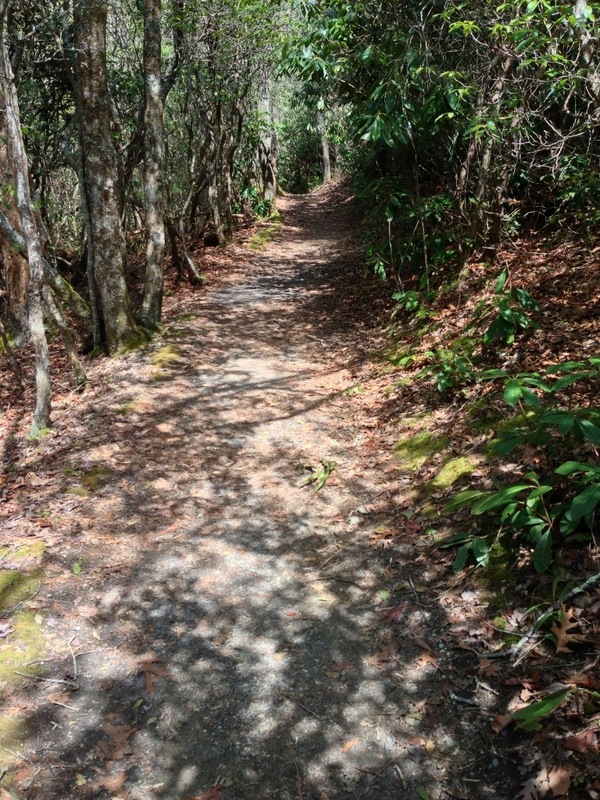 Once the trail reaches to peak height, it levels off, becomes more of a wide forest road, and you are home free. 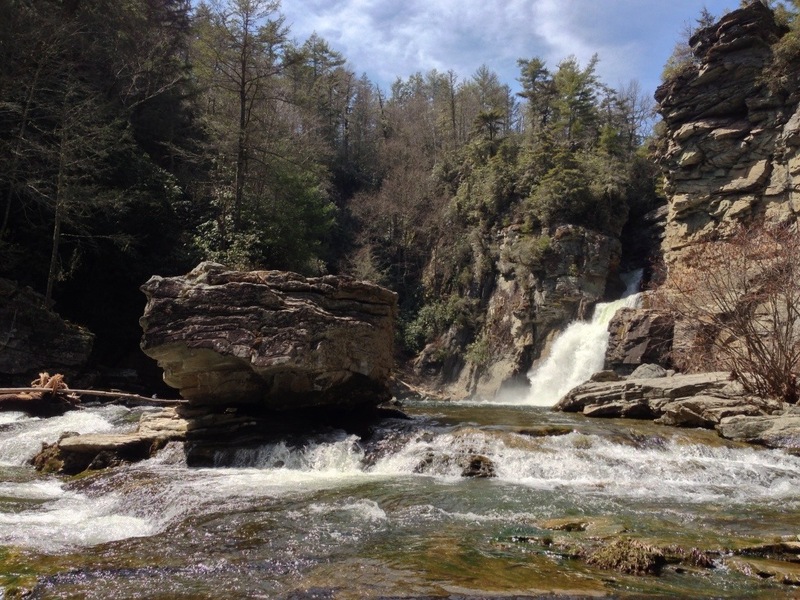 Once back to the parking lot, you can continue on down the parkway, or if you haven’t had enough of the Linville, there are more options. Cross the river on the bridge at the visitor center, and its on to 3 more views, 2 from way above, and one that goes down to the upper falls and allows you to see just how the Linville cut its way through the rock. Enjoy! Thank you Dana! You have been to some great places as well! 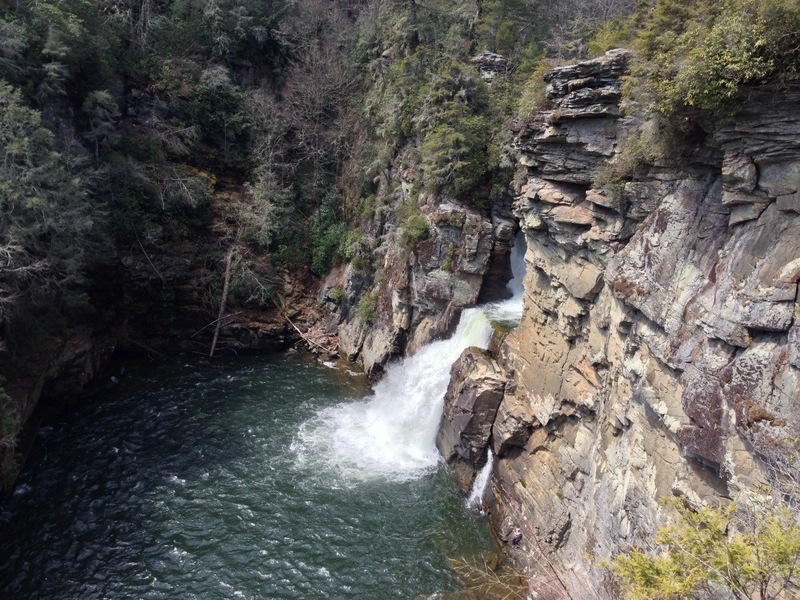 I have such great memories of backpacking Linville Gorge in my early trekking days. Thanks for these marvelous shots! It’s still a one-of-a-kind wilderness. You’re welcome! Thank you for the kind words. 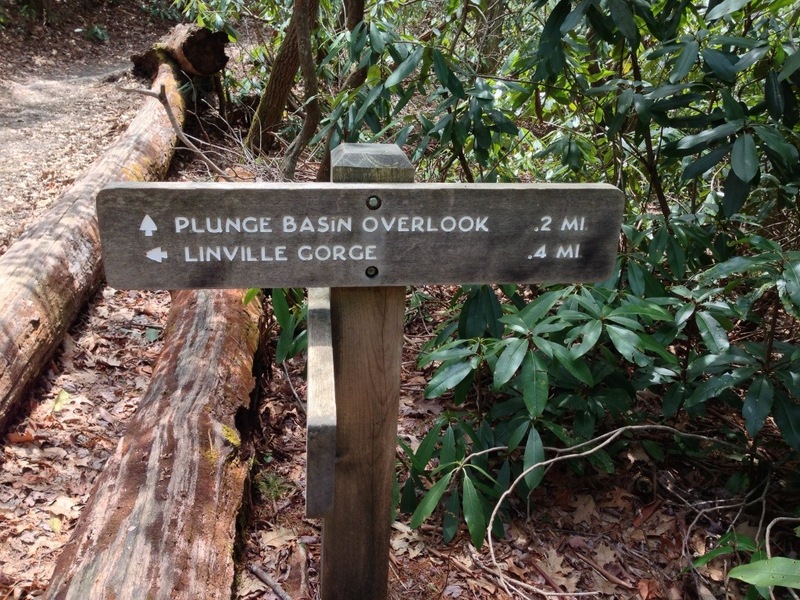 Linville Gorge is a very special place. 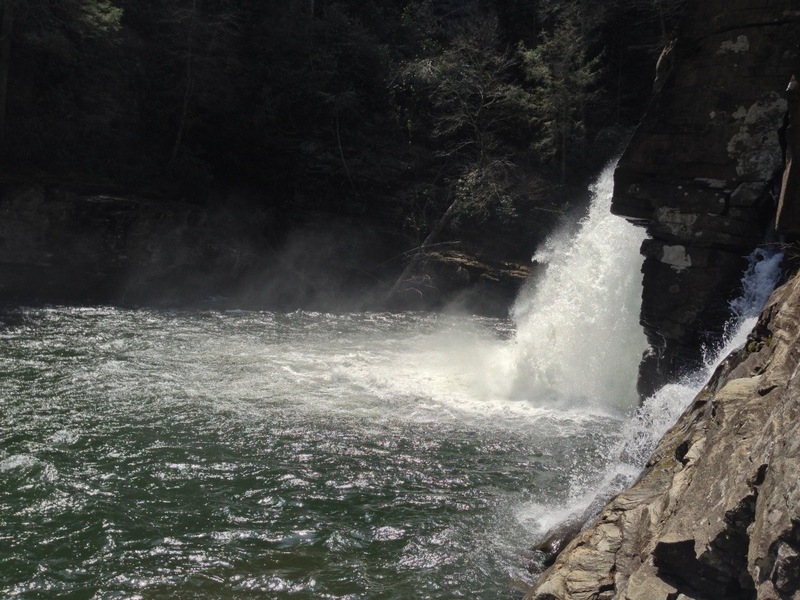 very pretty place, lots of water falls too. 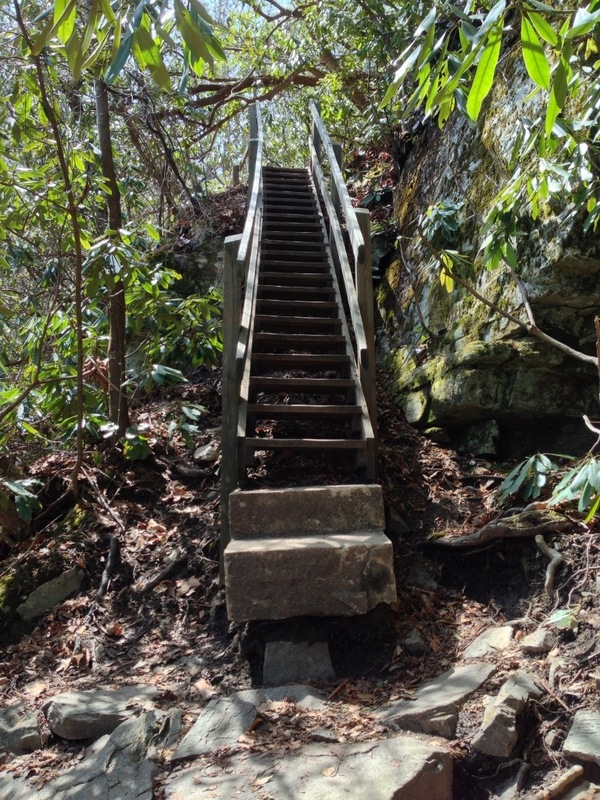 Next Next post: Profile Trail to Calloway Peak – A Beautiful Early Spring Hike on Grandfather Mountain!